January 28, 2019. 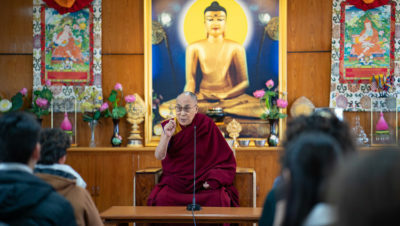 Thekchen Chöling, Dharamsala, HP, India – This morning, His Holiness the Dalai Lama met with a group of 51 students and 6 staff members of Kivunim. This department of Hebrew College offers an academic gap year program for North American High School graduates based in Jerusalem with field trip visits to 11 other countries. 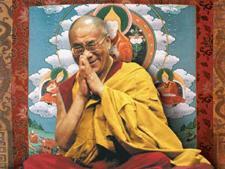 His Holiness welcomed them to Dharamsala, his home for the last sixty years.